Pete Domville, better known as Headphone Activist, is a 24 year-old DJ and producer who was born and raised in Pittsburgh, PA, where he is firmly making a name for himself, and now steadily across the globe. He first started writing music at the ripe age of nine, and over the years has made exceptional steps in building his career. You wouldn't say his sound has improved over the years, but instead transformed and expanded to all points on the creative spectrum. His style ranges from reggae-inspired dub to DnB, from jungle to melodic cloud rap. He is an innovator, incorporating sounds produced from life itself to assimilate vitality and soul into his music, whether it be samples from scores of movies such as "The Place Beyond the Pines," to "Shawshank Redemption," and even "The Goonies." HPA goes so far as to merge opera and classical into his beats, along with authentic samples derived from sounds heard in nature and space. He continues to push limits and break barriers with his rare and exquisite sound that can only be described as the type of art that truly changes the way the world views music, and more importantly, has power to change the way we live our lives. HPA's fan base continues to grow, and he has the world at his fingertips, or should I say eardrums. Ikonic Sound (Michelle): So what first inspired you to start writing music? Over time I started working on making my own music. I started with writing dubstep. I wasn’t very good at writing dubstep, so then I progressed into making jungle and drum and bass. I was having a blast writing jungle. And then, I met DJ Craze after one of his shows in Pittsburgh. He introduced TNGHT's EP to me, and I went home and downloaded 808 sample Kits and started writing hip-hop and trap influenced music. Ikonic Sound (Michelle): Where did you come up with the name Headphone Activist and what is its significance to you? Headphone Activist: The name is derived from lyrics in a track by the Minnesota hip-hop duo “Atmosphere," and the track is titled "C’mon." Basically one of my favorite things to do is to put on my headphones and just listen to music for hours - it’s like meditating for me. When I heard the name in his lyrics, I iust knew that was it, that was what I wanted my name to be. Headphone Activist: Films play a huge roll in influencing my music. I went to see the film of the same title. The main score is this track called “Snow Angel,” by Mike Patton. By the third time I had heard the song played during the film I knew I had to sample it. I went home, found a solid sample source, plugged it in, and started writing. It’s funny because I worked on that track for a week or so and then got stuck and put the project aside. A month or so later I reopened the project and scrapped everything other then the bass line and ended up writing the track that night. I put it out a couple days later. Ikonic Sound (Michelle): Who has influenced you most musically throughout the years? Aphex Twin was my first real introduction to electronic music. At the time, I wasn't even aware it was called electronic music. I was 12, or 13, and just thought that it was so dark and different than anything else I had heard up to that point in my life. innovative mixing of electronic music with a hip-hop influence. Not trap, just progressive beats. Ikonic Sound (Michelle): How do you describe your sound and what do you want your fans to take away from your music? 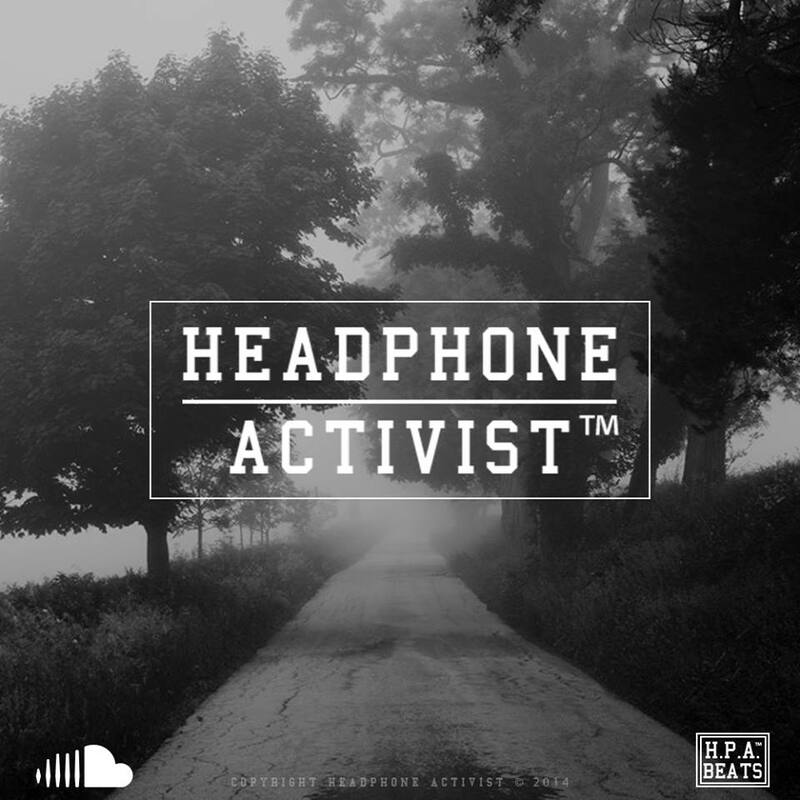 Headphone Activist: Cloud rap, trap, bass music, electronic, chill, and vibe music are all ways my friends have described my sound, and they are all right with classifying my music in those genres. What I think it is though, is just next generation hip-hop. I am a kid born in 1990, raised via TV and the internet. Bands like Sublime, Gorillaz, Portishead, and Jurassic 5 have all influenced me. But I'm 24, so who knows where my sound will go. Personally, I see myself moving into making more film based tracks, ambient vibe music, while maintaining my love for good drum work. Ikonic Sound (Michelle):Your latest releases focused on sounds revolving around nature and space. What inspired you to choose this new direction with music? Headphone Activist: Clams Casino's work with sampling from nature was a big influence behind the my new tracks. Also, NASA recently released a large archive of sounds and samples from space, which was a gold mind for building background sounds and creating atmosphere for my track “NASA." Ikonic Sound (Michelle): You seem to have a strong and growing fan base. What has helped make that possible? Headphone Activist: Awesome fans, and support from blogs like Trap Nation, DOPE MAG, The EDM Network - the list is pretty long but thank you to anyone who is supporting what I am doing. Ikonic Sound (Michelle): Where do you hope to be a year from now? Headphone Activist: Still having fun, sharing and writing music, traveling, and meeting new people. Also, listen and download for free his latest release "Spring 2015."